Route 53 is a scalable Domain Name System (DNS) web service that connects user requests effectively to infrastructure that is running in AWS and to infrastructure outside of AWS. Route 53 connects user requests to Amazon S3 Buckets, Amazon EC2 instances or Elastic Load Balancers. 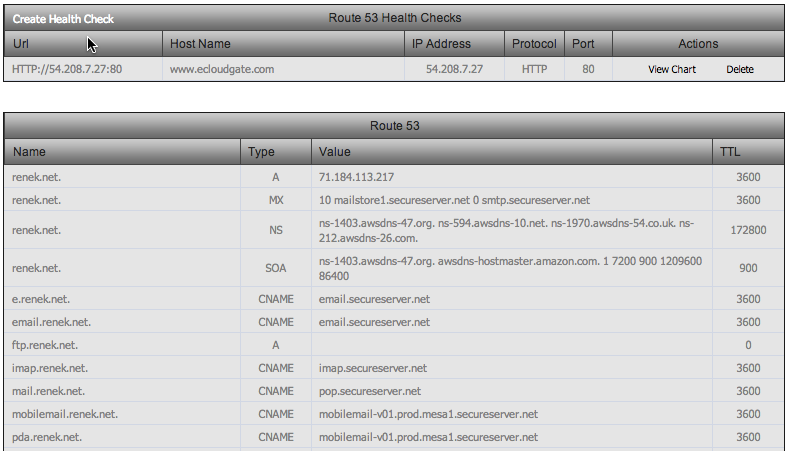 With the use of Elastic Cloud Gate portal, you are capable of reviewing all zones and records from your Route 53 DNS Service. 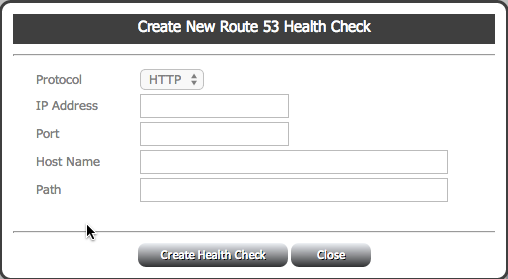 The Route 53 AWS Health Check can effectively monitor the health of your Web Servers. It is a reliable web service that is capable of monitoring the status of the servers using HTTP, HTTPS or TCP protocols. The Elastic Cloud Gate give you the option to track, create or delete Health Checks. Elastic Cloud Gate can provide you with the easiest and best option to export every Route 53 zones and records to the csv files.